Nova Bus confirmed a new partnership with LYNX in Central Florida. 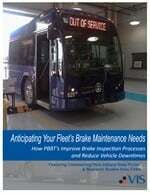 Delivery of two articulated hybrid buses is scheduled for 2013. The buses will be assembled in Nova Bus’ Upstate New York plant. The LFS Artic HEV model ordered by LYNX combines the ability to handle the highest-volume routes with the quiet, ultra-low emissions hybrid drive. The fuel consumption and carbon footprint of this vehicle is significantly lower than a conventional diesel bus. In addition, the LFS Artic HEV provides savings on brakes and engine maintenance costs from regenerative braking. Nova Bus articulated hybrid buses show that high volume demands and operating reliability can be combined with energy efficiency and low environmental impact, according to the company. While continuing to optimize its hybrid vehicles, Nova Bus is also conducting research to develop alternative green solutions such as plug-in hybrids and fully-electric buses.